An optimally running El Dorado Hills plumbing system can save your family and business a lot of money in the long term; make sure to perform the necessary upkeep! While this may come off as commonsense, the experts at Flowrite Plumbing have been called repeatedly to fix issues caused by home and business owners. Granted there are times when unexpected emergencies occur, problems that are usually unavoidable, most of what we see on a daily basis is the result of general neglect. 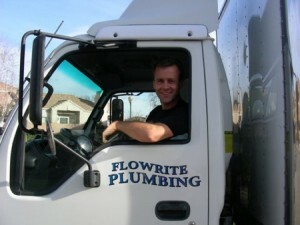 Flowrite….the go-to choice for all your El Dorado Hills plumbing system needs! Take it from an El Dorado Hills plumbing company that has been licensed and insured for well over two decades; proper maintenance is an absolute must! Jimmy Vandivier launched the business many years ago, and subsequently laid the foundation for what would become one of the region’s most revered plumbing firms. You may be wondering what makes Flowrite Plumbing different, what makes us stand out. We will be the first to say it is not our flat rate pricing system, referral built structure, around the clock availability, or unbridled passion for promoting eco-friendly plumbing products, that makes us better than the rest. While all of this is greatly respected by our clients in El Dorado Hills, Flowrite’s defining asset is its dedication to its customers. We work hard every day to ensure all projects are performed perfectly from start to finish! My shower drain is clogged. Should I call Flowrite? Jimmy and his crew get these types of questions all the time, and are always happy to help. If we believe an issue (e.g. clogged drain, sink, or toilet) can be fixed without sending a technician to the job site, we will work to resolve the matter over the phone or email. 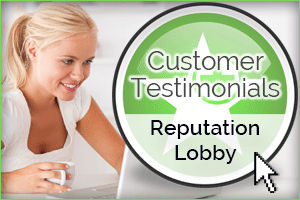 We believe honesty is the best policy, and would never charge a customer for a quick fix. However, in the event your El Dorado Hills plumbing system requires professional intervention, one of our crewmembers will be quickly on the way. To help as many customers as possible, Flowrite does not restrict its El Dorado Hills plumbing services to solely the residential market. We also cater to various commercial clients, and are available 24/7 in case of a plumbing emergency. That being said, we prefer to consider ourselves a one-stop shop that performs a comprehensive list of top-notch services. From all of us at Flowrite, thank you for stopping by and we look forward to hearing from you soon. Remember, your plumbing system is always in good hands with us!